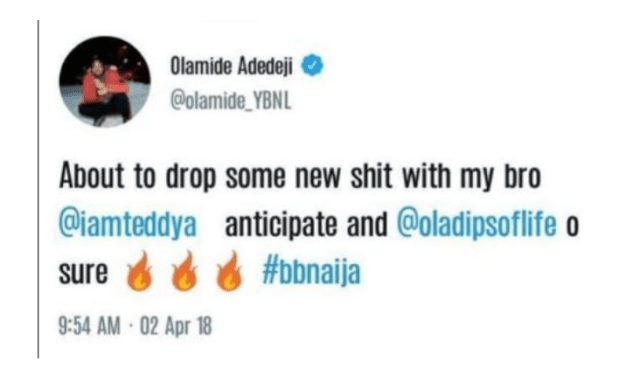 Olamide Baddo has just announced that he is about to release a song with newly evicted big brother Naija housemate Teddy A. Many ‘doors’ seems to be opening for the former housemate as many celebrities have indicated interest in working with him. Artistes like Iyanya, former housemate Bisola and fashionista Noble Igwe. 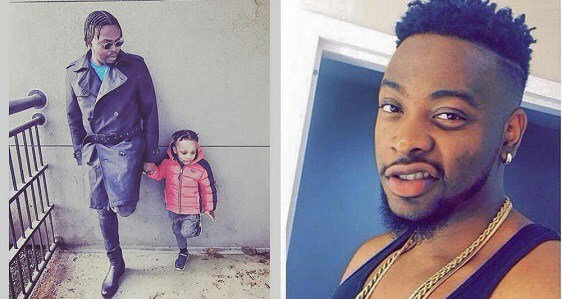 Is Davido Being Sarcastic About Mayd’s N150million House? Next articleBe Honest: Bam Bam steps out with Teddy A Without Makeup, some fans call her ugly – Truth or hating?? ?